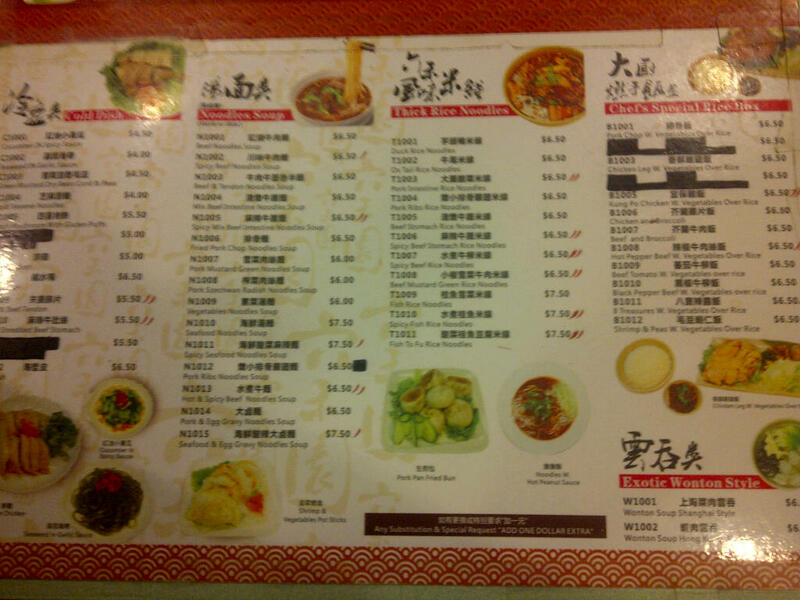 We all have that one restaurant that you always crave. The one restaurant that you always find yourself eating at when you are in the neighborhood. For me, my calling is at Shanghai Noodle House in Edison, NJ. 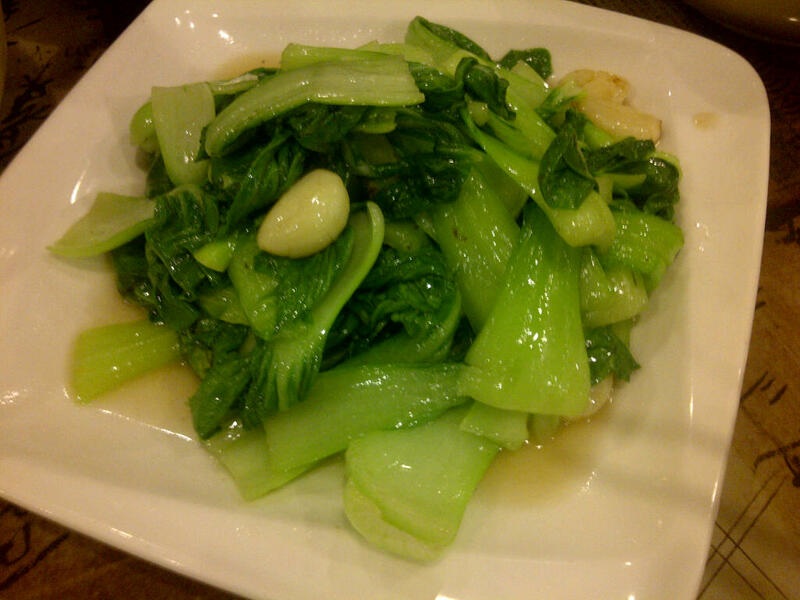 My favorite meal! Read on to find out more! 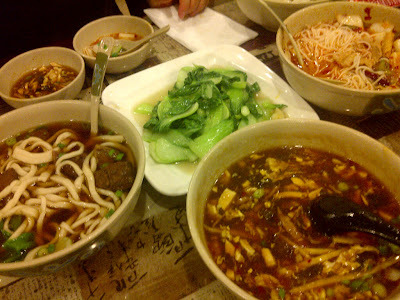 Every time I go back to see my mom in NJ, I definitely have to must be no other option have a meal at Shanghai Noodle House. 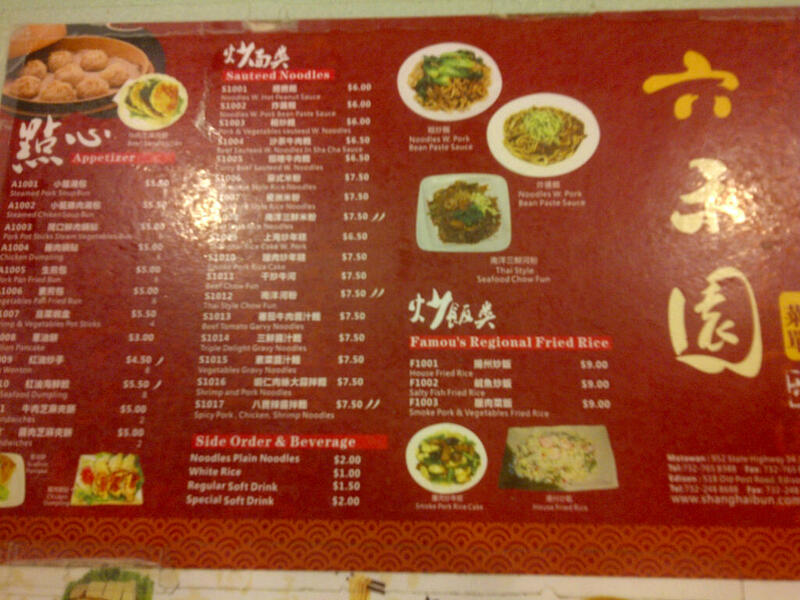 My family has been going to the original location, Shanghai Bun in Matawan NJ, since it first opened 10+ years ago. Even though it was a 45 min drive (was only 20 min before but my mom moved!) we still made the trip for my necessary bowl of noodles each and every time I came back to good ‘ole Jerz. Last year, I heard rumor that they were opening a second outpost in Edison, NJ. And so, one glorious evening, my mom took me to scope out the situation and HUZZAH! The rumors were true and the new location was only a 10 minute drive from my Mom’s place! The restaurant is definitely a low key affair but let me tell you – it’s ALWAYS packed. If that’s not a testament to the deliciousness of the food then I don’t know what is. While they keep the restaurant décor and furniture simple, they did invest in these handheld electronic ordering devices for the waitresses. Definitely helps with their efficiency and its super snazzy! Now on to the good stuff. 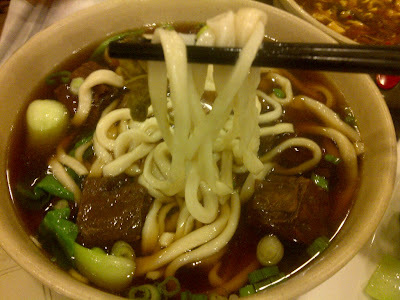 My ultimate favorite thing to get is the Beef Noodle Soup (Niu Rou Mian). 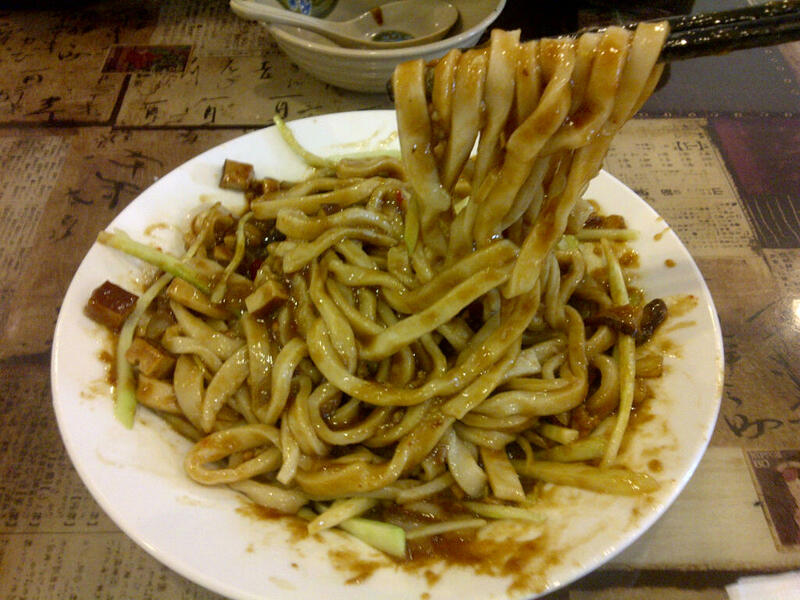 All their noodles are handmade and chewy. The broth is light yet suuuuper flavorful. 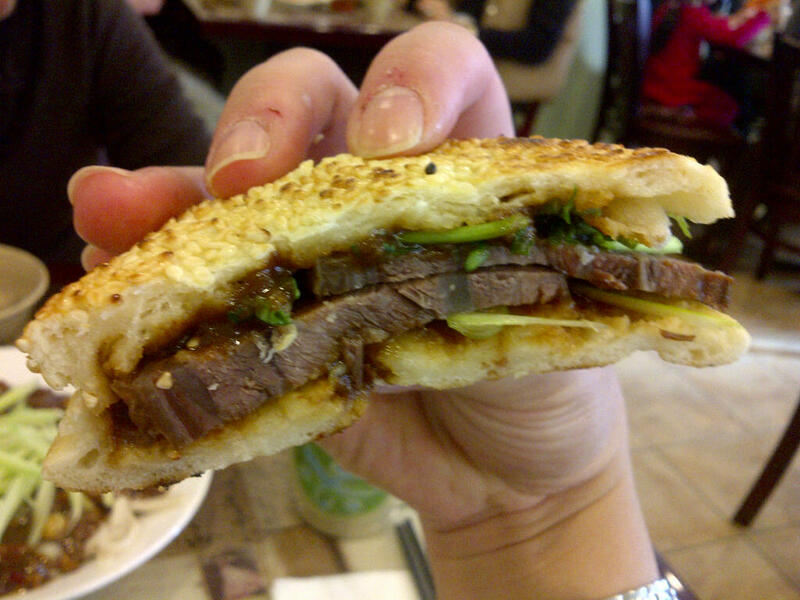 The beef is simmered until its tender – its almost like I’m in Taiwan again (speaking of which, I'm so jealous of Piggy KL's recent trip back to the motherland)!!!! Beef Noodle Soup - I can't live without this! 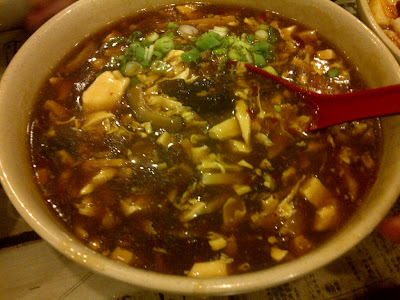 My next "to die for" item is their Hot and Sour Soup. This is not your run-of-the-mill Chinese food take-out hour and sour soup. They make this soup FRESH when you order it and its packed with fresh mushrooms, tofu, bamboo, etc. Perfectly balanced between sour and spiciness...I can't get enough! My Mom's go-to dish? 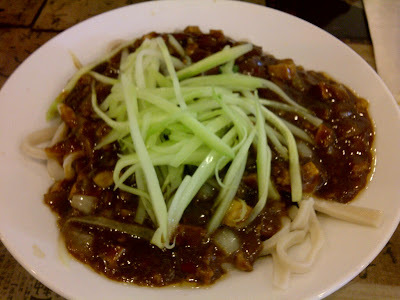 The Noodles with Pork Bean Paste (aka Zha Jiang Mein)! I don't like pork, but this dish is so flavorful and the dried tofu bits so tasty I can never resist sneaking a couple bites! The Garlic Sauteed Baby Bok Choy is incredible - garlicky but not overpowering and sauteed to perfection. Its still crispy fresh as you bite into it! If you are still hungry, order up some Wonton Soup Shanghai Style. 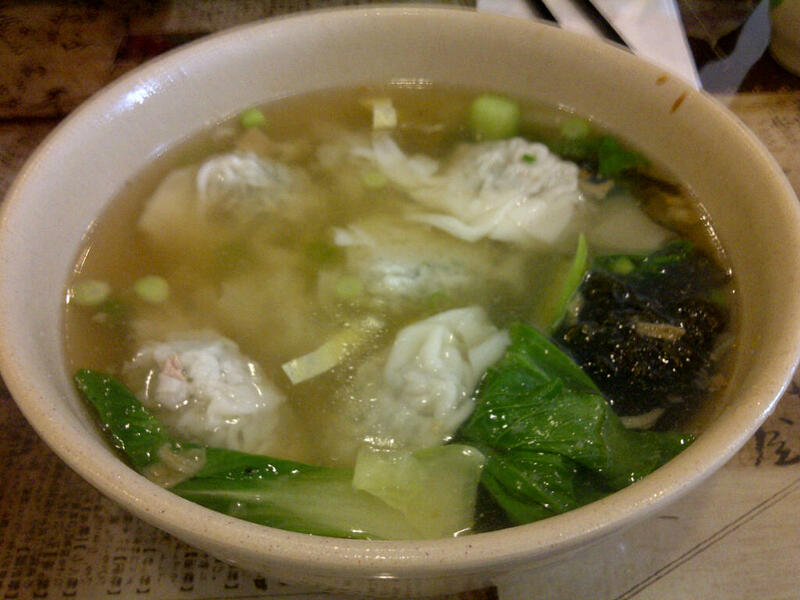 The broth is light and savory and the meat and veggie wontons are plump freshly made. 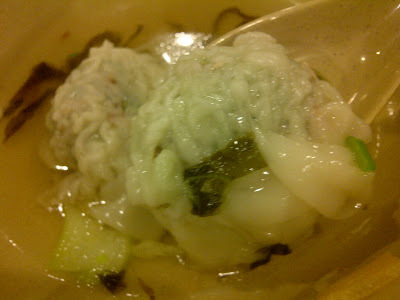 The sprinkling of fried onions and seaweed are perfect complements to the soup. And to wrap up your meal, an order of the Beef Sandwich (Niu Rou Shao Bing) is a great dish. Its served with tender sliced beef and just the right amount of cilantro, scallion, and sauce all on a warm and flaky sesame pancake. 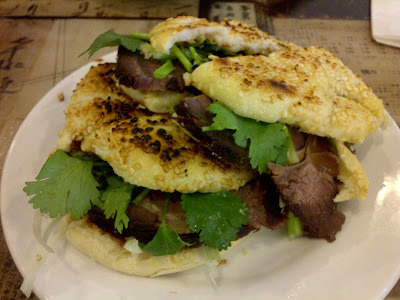 If all the above dishes isn't enough of an enticement, Shanghai Noodle House also serves traditional Taiwanese breakfast on Saturday and Sunday mornings (check out Piggy KL's post on Taiwanese breakfast here)! I have yet to give it a try, but will definitely be stopping by to give breakfast a try on my next trip home! If you happen to be in the Edison / Central NJ area, make sure to give Shanghai Noodle House a go and let me know how it is!